Federal University, Gusua, FUGUS cut-off mark for the 2018/2019 academic session admission exercise. 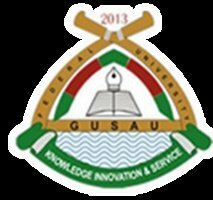 This is to inform the University community and the general public that the Federal University Gusau (FUGUS) has set-up 160 as its minimum cut-off mark for admission into the University, following a decision by the Senate of the University. The Senate also agreed that the admission would be given after the candidates sat for the Post University Tertiary Matriculation Examination (Post-UTME) Screening exercise that would be conducted by the institution. It should be noted that the 120 cut-off marks recommended by the Joint Admission and Matriculation Board (JAMB) is only a minimum requirement and Universities can at their discretion decide their minimum cut-off marks. Comment Text* OK call d Dean of dept on 08166276805 on admission processing. When fungus 2018/2019 admission lists will come out? 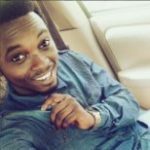 My junior brother scored 159 in his jamb and i want him to study computer science at our state federal university (FUGUS),please can you give him admission into these great and ace university ?